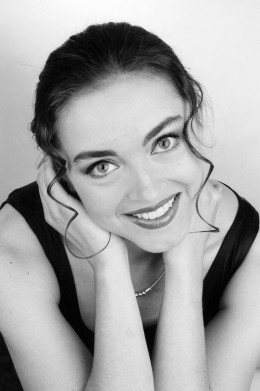 Veronika Hajnova is one of the most established principal artists at the PRAGUE STATE OPERA. Since 2004 she has been contracted to sing such roles as Amneris in AIDA, Azucena in IL TROVATORE, Fenena in NABUCCO, and The Witch in RUSALKA. 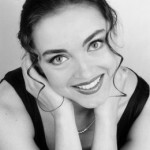 She has received acclaim for her performances for the company as Carmen and for her interpretation of the mezzo soprano roles of Mozart including Dorabella in COSI FAN TUTTE and Cherubino in THE MARRIAGE OF FIGARO. Most recently, at the PRAGUE STATE OPERA, she has appeared in the lead role of Thomas’ MIGNON and as Melisande in Debussy’s PELLEAS ET MELISANDE. She is also a frequent guest artist at the NATIONAL THEATRE in Prague and in Brno and appearances as both Amneris in AIDA and as Carmen, have taken her to Japan, Spain, Portugal, France, Hungary, Abu Dhabi and Seoul. At the PRAGUE STATE OPERA during the 2014/15 and 2015/2016 seasons she appeared as Herodias in SALOME, Venus in TANNHAUSER, Azucena in IL TROVATORE, Fenena in NABUCCO and Carmen and tour to France with company. For the NATIONAL THEATRE in Brno she sang Suzuki in MADAM BUTTERFLY, Hermia in Britten’s A MIDSUMMER NIGHT’S DREAM, the role of Armando di Gondi in Donizetti’s MARIA DI ROHAN, Jezibaba in RUSALKA, Olga in EUGENE ONEGIN, and Carmen. She also returned to the role of Zefka for further performances of THE DIARY OF ONE WHO DISAPPEARED at the MITO SETTEMBRE MUSICA FESTIVAL in Turin a role which she also sang at the PARIS OPERA BASTILLE in 2007 and in the program of the FESTIVAL INTERNAZIONALE DELLA MUSICA in Milan in 2008. On the concert platform she is regularly engaged to appear with the CZECH PHILHARMONIC, BRNO PHILHARMONIC, the JANACEK PHILHARMONIC and the MORAVIAN PHILHARMONIC orchestras. has appeared as soloist in Verdi’s REQUIEM for the OPERA MINICIPALE in Marseille and in performances of Mahler’s KINDERTOTENLIEDER at the FESTIVAL OF FORBIDDEN MUSIC in Terezin in the Czech Republic. Concert work during 2015 included Dvorak’s STABAT MATER with the PRAGUE SYMPHONY ORCHESTRA and Janacek’s GLAGOLITIC MASS, with the CZECH PHILHARMONIC ORCHESTRA at the MUSIKVEREIN in Vienna and, during 2016, she has toured extensively in France in performances of the Mozart REQUIEM. 2017 included Herodias in SALOME for the TEATER WIELKI WARSAW and Mahler’s SYMPHONY NO.2 with the RADIO ORCHESTRA OF PRAGUE conducted by Ondrej Lenard. During the 2018 and 2019 season for the NATIONAL THEATRE PRAGUE, Veronika Hajnova returns to the roles of Amneris, and Jezibaba, and appears as Gertrud in HANSEL & GRETEL, Ulrica in UN BALLLO IN MASCHERA sings Charlotte in WERTHER, Fenena in NABUCCO and appears as Princess Clarise and Linette in THE LOVE FOR THREE ORANGES.